Image Credit: Taryn / Flickr. This image has been modified. Where do the international consensus guidelines to dramatically lower saturated fat consumption come from? (I show the list in my video, The Saturated Fat Studies: Buttering Up the Public). They came from literally hundreds of metabolic ward experiments, which means you don’t just ask people to change their diets, you essentially lock them in a room—for weeks if necessary—and have total control over their diet. You can then experimentally change the level of saturated fat consumed by subjects however you want to, and see the corresponding change in their cholesterol levels. And the results are so consistent that you can create an equation, the famous Hegsted Equation, where you can predict how much their cholesterol will go up based on how much saturated fat you give them. So, if you want your LDL cholesterol to go up 50 points, all you have to do is eat something like 30% of your calories in saturated fat. When you plug the numbers in, the change in cholesterol shoots up as predicted. The experiments match the predictions. You can do it at home with one of those home cholesterol testing kits, eat a stick of butter every day, and watch your cholesterol climb. These ward experiments were done in 1965; meaning we’ve known for 50 years that even if you keep calorie intake the same, increases in saturated fat intake are associated with highly significant increases in LDL bad cholesterol. Your good cholesterol goes up a bit too, but that increase is smaller than the increase in bad, which would translate into increased heart disease risk. So, if you feed vegetarians meat even just once a day, their cholesterol jumps nearly 20% within a month. To prevent heart disease, we need a total cholesterol under 150, which these vegetarians were, but then even just eating meat once a day, and their cholesterol shot up 19%. The good news is that within just two weeks of returning to their meat-free diet, their cholesterol dropped back down into the safe range. Note that their HDL good cholesterol hardly moved at all; so, their ratio went from low risk of heart attack to high risk in a matter of weeks with just one meat-containing meal a day. And indeed, randomized clinical trials show that dietary saturated fat reduction doesn’t just appear to reduce cholesterol levels, but also reduces the risk of subsequent cardiovascular events like heart attacks. So, we have randomized clinical trials, controlled interventional experiments—our most robust forms of evidence—no wonder there’s a scientific consensus to decrease saturated fat intake! You’ll note, though, that the Y-axis in these studies seen in my video The Saturated Fat Studies: Set Up to Fail is not cholesterol, but change in cholesterol. That’s because everyone’s set-point is different. Two people eating the same diet with the same amount of saturated fat can have very different cholesterol levels. One person can eat ten chicken nuggets a day and have an LDL cholesterol of 90; another person eating ten a day could start out with an LDL of 120. It depends on your genes. But while our genetics may be different, our biology is the same, meaning the rise and drop in cholesterol is the same for everyone. So, if both folks cut out the nuggets, the 90 might drop to 85, whereas the 120 would drop to 115. Wherever we start, we can lower our cholesterol by eating less saturated fat, but if I just know your saturated fat intake—how many nuggets you eat, I can’t tell you what your starting cholesterol is. All I can say with certainty is that if you eat less, your cholesterol will likely improve. But because of this extreme “interindividual variation”—this wide variability in baseline cholesterol levels for any given saturated fat intake—if you take a cross-section of the population, you can find no statistical correlation between saturated fat intake and cholesterol levels, because it’s not like everyone who eats a certain set amount of saturated fat is going to have over a certain cholesterol. So, there are three ways you could study diet and cholesterol levels: controlled feeding experiments, free-living dietary change experiments, or cross-sectional observations of large populations. As we know, there is a clear and strong relationship between change in diet and change in serum cholesterol in the interventional designs, but because of that individual variability, in cross-sectional designs, you can get zero correlation. In fact, if you do the math, that’s what you’d expect you’d get. In statistical parlance, one would say that a cross-sectional study doesn’t have the power for detecting such a relationship. Thus, because of that variability, these kinds of observational studies would seem an inappropriate method to study this particular relationship. So, since diet and serum cholesterol have a zero correlation cross-sectionally, an observational study of the relationship between diet and coronary heart disease incidence will suffer from the same difficulties. So again, if you do the math, observational studies would unavoidably show nearly no correlation between saturated fat and heart disease. These prospective studies can be valuable for other diseases, but the appropriate design demonstrating or refuting the role of diet and coronary heart disease is a dietary change experiment. And those dietary change experiments have been done; they implicate saturated fat, hence the lower saturated guidelines from basically every major medical authority. In fact, if we lower saturated fat enough, we may be able to reverse heart disease, opening up arteries without drugs or surgery. So, with this knowledge, how would the meat and dairy industry prove otherwise? They use the observational studies that mathematically would be unable to show any correlation. All they need now is a friendly researcher, such as Ronald M. Krauss, who has been funded by the National Dairy Council since 1989, also the National Cattleman’s Beef Association, as well as the Atkins Foundation. Then, they just combine all the observational studies that don’t have the power to provide significant evidence, and not surprisingly, as published in their 2010 meta-analysis, no significant evidence was found. The 2010 meta-analysis was basically just repackaged for 2014, using the same and similar studies. As the Chair of Harvard’s nutrition department put it, their conclusions regarding the type of fat being unimportant are seriously misleading and should be disregarded, going as far as suggesting the paper be retracted, even after the authors corrected a half dozen different errors. It’s not as though they falsified or fabricated data—they didn’t have to. They knew beforehand the limitations of observational studies, they knew they’d get the “right” result and so they published it, helping to “neutralize the negative impact of milk and meat fat by regulators and medical professionals.” And it’s working, according to the dairy industry, as perceptions about saturated fat in the scientific community are changing. They even go so far to say this is a welcome message to consumers, who may be tired of hearing what they shouldn’t eat. They don’t need to convince consumers, just confuse them. Confusion can easily be misused by the food industry to promote their interests. 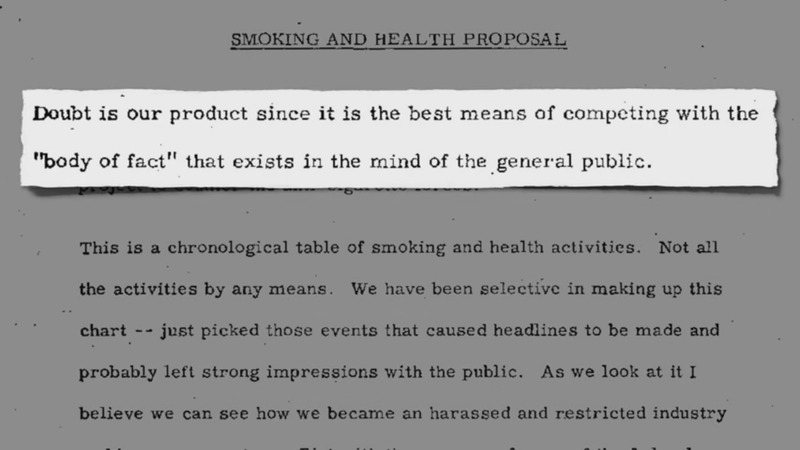 It’s like that infamous tobacco industry memo that read, “Doubt is our product since it is the best means of competing with the “body of fact” that exists in the mind of the general public.” They don’t have to convince the public that smoking is healthy to get people to keep consuming their products. They just need to establish a controversy. Conflicting messages in nutrition cause people to become so frustrated and confused they may just throw their hands up in the air and eat whatever is put in front of them, which is exactly what saturated fat suppliers want, but at what cost to the public’s health? If that “Doubt is our product” memo sounded familiar, I also featured it in my Food Industry Funded Research Bias video. More on how industries can design deceptive studies in BOLD Indeed: Beef Lowers Cholesterol? and How the Egg Board Designs Misleading Studies. Then people like Dr. Mercola come along and use these bogus observational studies to promote diets high in saturated fat. No wonder people are so confused! Thank you Dr. Greger for setting the record straight! Great review. A helpful rebuttal to give to our Palio friends. Our Paleo friends will not be influenced by mathematics, double blind studies, and the Hegsted Equation because they like their fat. They are addicted to fat just like a meth user is addicted to meth. I know a successful real estate developer who had stints put into his coronary arteries. I told him about the Dean Ornish no fat diet to reverse plaque build up in the arteries. I asked him, are you going to eat to survive or eat for pleasure. He paused for a few moments and said, “I am going to eat for pleasure, I can’t eat a tasteless bland diet”. Kaiser Permanente has a plant based plan published that is quite good. You can find it easily in a google search. They recommend 0-2 tsp of oil a day. Is 2 tsp of oil a day bad too? I ate a plant based whole foods diet with no dairy, or meat or fish or eggs. I still had an artery almost 100% blocked and needed a bypass operation. That was 2 years ago. Why would this happen? It was discouraging and makes it harder for me to make a case for others. Hope you had full recovery. How long were you whole foods vegan? Thanks Maria. About 4 years as a whole foods vegan. Before that I ate a little chicken. It was weird though. I was just fine, and then one day I had the pain in my jaw when I walked a little. It happened every day so I went in after a week. The heart surgeon said it was a gradual build in the artery. Not a clot. All my other arteries were fine. I still find it discouraging that this would have happened to me. I was 74 when I had the bypass operation. It is a painful ordeal but no one suggested that I put it off. When they found the blockage, I was rushed to a nearby hospital for the surgery. Sugar may indeed be plant based but it has also been found to be a culprit in coronary artery disease. She was 74. Something is always going to end a life, or be blamed for ending it. What exactly did you eat on a daily basis? Did you consume any significant sources of fat, like oil, coconut, avocado? Dr. Esselstyn has shown that anyone can eat in a way to prevent coronary artery disease. If you experienced it while eating plant based I’m positive you were still consuming something that kept the atherosclerosis going. Have you read his book, Heart Attack Proof? Nancy, although I must make the disclaimer that anything you read on the nutritionfacts website cannot substitute for medical advice from your physician you knows your specific situation, my humble recommendation is to avoid oil given the arterial blockage you describe. That’s great that you do a WFPB diet, but apparently in your case that wasn’t enough. Although oils may have less saturated fat than cheese, for example, eating any amount of oil will still raise your cholesterol, contribute to plaque build-up in your arteries, and contribute to heart disease. As Dr. Greger mentioned in the article, there are “interindividual variations” among the population. Therefore, one person may be fine on a WFPB diet with 2 tsp of oils used per day (and keep in mind, 2 tsp of oil is a really small amount) and in another person, that 2 tsp of oil may set him/her over the edge and lead to heart disease. I hope that helps answer your question. There is serious doubt over the link between dietary cholesterol and heart disease. Cholesterol is laid down as an attempt to heal weak artery walls. There is evidence that the heart can heal itself and rebuild pathways and that invasive surgery is not always the best immediate go to solution. Dear moderators, please remove these fallacious claims. I was actually pulling my punches. There is no link between dietary cholesterol and heart disease or stroke, if anything the evidence goes the other way especially in relation to post menopausal women. As for the ability of the heart to heal itself , this is at the forefront now of some serious research as doctors question the value of leaping in with stents over cases where for various reasons it was not possible to do that and patients got better any way (despite the hex put on them by the diagnosis). I know it’s not what you want to hear, Han, but let’s all give reality a round of applause for overcoming wishful thinking. It’s a bun fight between the meat eaters versus the non-meat eaters. Been that way for 5 decades that I can vouch for. I believe the discussion should stand. Contrary opinion is healthy as long as it doesn’t become abusive. l.in the body and made by the body. It can’t be harmful in all forms. I don’t think the majority are asking the right questions. There is definitely more to learn. Thanks for that. It is all credit to this site that my comment ever got through, so plaudits to the team whatever particular viewpoint they are taking. It is terribly difficult to sort through the plethora of reports, reviews and all the bias that creeps in, commercial and ideological. I would love a firm thumbs up for a whole foods vegan approach but the evidence that it is optimal for health just is not there. On the contrary those who avoid animal fats and turn to vegetable oils are likely doing themselves far more harm than sticking with the butter and lard. If you cut out all fat you run into problems with keeping the gall bladder functioning and with ensuring your get enough of the fat soluble vitamins. As for coconut oil, coconuts like avocados and almonds for that matter do not grow in the UK and I dislike the idea of being dependent on something that has to be imported and that for centuries we were perfectly healthy without. We are also bringing ecological ruin to countries now making money out of flogging us these products. The globalised food market is a rotten thing. Many studies of longevity show that the healthiest longest lived communities are/were relatively isolated and adapted to a very narrow range of food whether or not those included animal products. You appear to be doing very well. Not many have the insight to see the cholesterol question in the way you are seeing it so keep going on your own strength. I like NF for the fast paced video snippets. Its a quick and easy way to stay in touch with the trends. – I narrowed it down to heart health because its a metabolic or systemic disease, as is diabetes. The two are interlinked and combined they account for a significant majority of health issues (excluding suicide and lung cancer == smoking and pollutants). So, if I can understand that I have a head-start in the race. The current discussion (meat eating/sat fat/cholesterol versus vegetarian is at the heart of it. – I don’t read much in the way of pop books or net blogs et. c (not enough meat in the sandwich for me. I go straight to a site like the NCBI NIH PubMed and PMC database, I do some searching and I start a quick read of the few thousand articles that come up (I’m quite good on research). I’m gobsmacked because most of the answers are there, or at least there some broad hints that are good enough for me. – I’m doing more work to learn about what analytical tests are available and what they mean. Then I consult with health professionals to get some evidence about the state of my health. If it is, or is not working for me the only way to know is to follow the rate of change in a marker. (sorry I cant say which markers I’m using). 2) I would love a firm thumbs up for a whole foods vegan approach but the evidence that it is optimal for health just is not there. IMO a Vegan diet can be a very healthy diet. 3) On the contrary those who avoid animal fats and turn to vegetable oils are likely doing themselves far more harm than sticking with the butter and lard. If you cut out all fat you run into problems with keeping the gall bladder functioning and with ensuring your get enough of the fat soluble vitamins. Yes, I have some question marks over polyunsaturated oils in the quantity many people, including vegetarians, are eating (I know because I did it for 20 or more years). Its not going to be resolved in a forum. Do your research and make up your own mind (consult with a pro to confirm). I do caution against heated oils though and also the tendency of the polyunsats to go rancid. Even roast peanuts, for example, are on my watch list. I’m digging in deep on the cholesterol fractions and oxidized cholesterol. Plenty of scientists, and more than a few around here are mistaking correlation for causation. Without identified causation you are on shaky ground. 4. As for coconut oil, coconuts like avocados and almonds for that matt er do not grow in the UK and I dislike the idea of being dependent on something that has to be imported and that for centuries we were perfectly healthy without. What distinguishes us from animals is our cognitive ability. We have to use it. A chimp doesn’t know it has a toothache or needs a vitamin supplement. We need to choose freely, and with knowledge, from all food sources. 5) We are also bringing ecological ruin to countries now making money out of flogging us these products. The globalised food market is a rotten thing. I am a SPIRITUAL MAN. I have renounced politics and political activism.. There is a lot of heartache in the world. I am saddened to see animals in cages and the sea polluted. I cant right all of the wrongs in the world. To avoid spiritual distress I do what I can where I can to make a difference and let the rest be (I know a lot of others, around the world, are playing their part). I am only a spiritual activist. 6) Many studies of longevity show that the healthiest longest lived communities are/were relatively isolated and adapted to a very narrow range of food whether or not those included animal products. I am interested in what is happening to modern Mankind today . There is sufficient evidence to go on for me. Yes, the idea of a type of mono-diet has crossed my mind. Its a very interesting idea. You seem a bit intuitive. If so, thee intuition is like a glass bridge over a canyon. You cant see it so you have to put one foot on it to test the weight. The more you place your faith in it the more it supports you. :-) I suspect the attitude to what we eat (and the spirit in which we eat it) is more important than the food itself. Eating with friends…. nice tasting food nicely prepared and nicely presented … in a reverential manner…. is healthy. Nutrition is important too …… chewing our food is an old fashioned health axiom (its now on the list of risk factors for Leaky Gut, as is distress). If I’m not healthy I won’t be able to complete my spiritual mission. Its my duty to be healthy. This site does not recommend any vegetable oils including coconut. G: Gillian23: Slayer of myths, Debunker of shibboleths. I can’t tell you how much I have missed your comments on DT since they closed their ears. Live long and prosper! Dear Roger, ditto. The telegraph will cave soon under the pressure from advertisers. It was part of a drive to push twitter which has failed. The media love twitter for quick catchy comment they can recycle for zero cost, and they fear its demise. As for this site, I am a vegan at heart (forgive pun), always will be. Consuming animals and their products feels like a dirty addiction and it feels like death, but trying to prove yourself right on the science of what is best for yourself rather than doing something because it is best for everyone/everything else is never going to end well. And the earth is flat, I know. Han: We prefer that people stick to the science when making claims, but we do not require it. People are allowed to post their opinions. Hopefully everyone reading comments in any forum knows not to take everything written as truth. Note that sometimes comments like this can be helpful. It can spark debate that clears up the issues for people who watch the debate. Participants on this forum don’t always have time to address every claim. Nor is it always a good use of time to debate with some people. But sometimes comments like this are great openers for myth busting. So, I recommend that people just skip over those comments which do not compute and look for some interesting and often enlightening reading when a debate happens. Thanks for your reply. These claims are too silly to reply to indeed. Han, “remove these fallacious claims”? Where to, a safe room where people won’t be exposed to contrary thought that may upset them?? This isn’t a college ya know. Give me a break. Open debate is the name of the game here. Even Colin Campbell has written about the fallacious association between cholesterol and heart disease. See his website for his writing on this issue. But be prepared to be upset, if you can handle it. Jeesh. Wonder if you ate oil or nuts or avocados. It would be nice to see how to “do the math” that demonstrates the high variability ends up with little correlation. Maybe a reference to Wikipedia or a numerical example. Thank you again for enlightening us. This article focused on the relationship between saturated fat in the diet and blood cholesterol (how they rise and fall together) but had only a single statistic on the health consequences of cholesterol: prevent heart disease by keeping total blood cholesterol under 150. Does that mean that the cardiovascular health of people with genetically low blood cholesterol would be unaffected by saturated fat as long as their blood cholesterol stayed below 150? We know that genetic predispositions to lower LDL reduce cardiovascular risk about three times as much as achieving the same LDL reductions with statins, and also that the actual genes effected matter less than the aggregate reduction in LDL. We also know that saturated fats appear to have mechanisms in CVD independent from their effect on LDL levels. They impair endothelial function, increase intestinal absorption of endotoxins, increase systemic inflammation, and increase risk for metabolic disease / diabetes, which in turn increases CVD risks. Darryl, Great reply, including the links to the journal articles. Lifetime exposure to LDL-C is a big deal (similar to estrogen and breast tumors) It’s never too late to start eating (living) healthy, but the benefits of an early start are hard to achieve by catching up. Plus, a singular focus on the cholesterol connection to saturated fats overlooks a raft of other avenues of damage associated with saturated fat. I have a friend who is a true carnivore (nothing green, yellow, red or blue passes his lips), who thinks he is safe, as measured by his low cholesterol. As you point out, that is too narrow a metric. Could you be more specific about which saturated fats appear to be the most problematic? Yale’s Dr. David Katz, who has been an outspoken critic of the Mark Hymans of the world (that is, the fat is good camp) claims that palmitic and myristic are harmful, but that stearic and lauric may be innocuous. What’s your assessment of the science, Darryl? If only LDL raising matters, then this simplifies matters. Myristic acid (14:0) has the greatest LDL increasing effect, followed by palmitic acid (16:0) and then lauric acd (12:0). Stearic acid (18:0) has no effect on LDL. However, that’s not the whole story, as we know atherosclerosis is an inflammatory disease, begun by insults to the epithelium, followed the cascade of innate immune system activity of atherosclerosis. The commonly fatal last step is when macrophages release matrix metaloproteinases that breakdown the collagen of fibrous caps, leading to plaque rupture, thrombosis, and infarcts. Saturated fat feeding causes postprandial systemic inflammation and endothelial dysfunction in humans, and in animals removing dietary fat stabilizes the fibrous caps (2) Dr. Esselstyn style. But I haven’t found a similar ranking of fatty acids for inflammatory potential, so what follows is more speculative. How does inflammation start, anyway? Usually, it seems, with a Toll-like receptor. This is a family of cell membrane receptors that recognize generic pathogen components. There’s one for the single stranded RNA used by viruses (TLR7), one for bacterial flagellin (TLR5), but the one that has garnered the most attention is TLR4, which recognizes the lipopolysaccharides (LPS) from some bacterial outer membranes. Re: TLR4 So to continue this line of thought, does TLR4 then help those bacteria move across the intestinal lining into the blood? What’s the relevance of lipid rafts? What are they? In my visual mind, I see slippery rafts storing fats, with all those toxins, then sliding across the intestinal lining into the blood. Am I delusional? wrong? I think if your homocysteine level is to high that it could oxidize what little cholesterol you have in your system and cause it to stick to your arteries. I think any kind of inflammation to the arteries could cause fatty molecules of any kind to gradually stick to the arteries. And, there are all kinds of things that can cause inflammation of the arteries. Calcification of the arteries can cause stiffness or narrowing of the arteries. A lot of people who go to health food stores no longer buy calcium supplements because they have heard and read that this form of calcium can stiffen the walls of your arteries, just like rust in old iron plumbing pipes. Consuming oil in the form of salad dressings, cooking oil, and in fried foods can also plug up your arteries. So, it is a very complex picture of what can plug up your arteries, which means that having a cholesterol level of 150 and below is NOT A GUARANTEE that you are heart attack proof. Another example, if a person has poor oral mouth care, and the bacteria in your mouth start to cause plaque build up in your gums and around your teeth, those same bacteria can also infect the coronary arteries or the carotid arteries and start causing plaque build up inside the arteries. Nature has many different methods to take one down. Even stress can cause changes in our body chemistry that can have bad effects on our arteries. Just getting angry can jack up your blood pressure and cause vasoconstriction. Dr. Greger, Thanks for all you do! Have you considered sending in this article, or one similar, to a major newspaper like the New York Times as an op-ed piece? In 1965, saturated fat and trans fat were categorized into one. How can you tell the 1965 study showed the effects of saturated fat or the effects of trans fat (or both)? We know now the effects of trans fat to human body. jerseyguyz: Dr. Greger has taken on the issue of the size/fluffiness of the LDL and it turns out, it doesn’t matter: http://nutritionfacts.org/video/does-cholesterol-size-matter/ All LDL above about 60 or 70 is too much if one wants to maximize chances of good health outcomes. I really wish Dr. Greger would stop using 150 (or under) total cholesterol as his idealized number to prevent CVD, because it is misleading. Someone with an LDL of 60, a VLDL of 12, and an HDL of 100 has a total cholesterol of 172 and is likely to have better arterial health than someone with an LDL of 60, a VLDL of 12, and an HDL of 45, with a total cholesterol of 117. Russell: If I understand your post correctly, you are making the assertion that only LDL matters. As long as the LDL is below say 60 or 70, the higher the HDL the better. Your assertion is not my understanding of what the data shows. Darryl addressed this idea in a post in about 2 years ago. I’m wondering if you find the first paragraph and it’s references compelling: http://nutritionfacts.org/video/how-the-egg-board-designs-misleading-studies/#comment-1586587583 Or do you have a similar set of references that show the opposite? Just curious. Thanks for the link. Yes, the posted comments are interesting, and suggests that higher HDL may or may not confer a benefit for reducing CVD risk. Harvard goes into it as well, here, yet cautions that keeping HDL above 40 is important: http://www.health.harvard.edu/newsletter_article/hdl-the-good-but-complex-cholesterol. This is unlikely to be a concern for many vegan folks here as my guess is most if not all of us are above 40. My assertion is that LDL and VLDL matter a great deal, while HDL may not matter much, so why bother keeping it in the equation? Saying that we need to stay below 150 is a bit misleading if one has higher HDL levels, when in fact our LDL and VLDL may be quite low. Btw, here’s a link showing that the apoA1 to VLDL-3 + remnant ratio may be the most important of all: https://lipidworld.biomedcentral.com/articles/10.1186/1476-511X-12-55. HDL is not mentioned. Russell: Thanks for clarifying your point. I don’t think I agree with you. For example, I think it is telling that populations which have low or no heart disease have low numbers of both LDL and HDL. But your link is interesting. Thanks for sharing. If we don’t know if HDL is a benefit or a risk factor, why use it at all? I’m not sure I follow your logic. Russell: Through various studies, we know that a total below 150 and LDL below 60 or 70 makes one pretty much heart attack proof. (Not a guarantee, but pretty close.) As you say, we do *not* know if totals above 150 are OK as long as LDL is kept low/human-normal. It would not be responsible to only give people half the equation based on what we know. If we learn more later that high HDLs are OK, then fine. But we don’t know that right now. The safe route is to keep total cholesterol below 150, and I think that is the appropriate message to be giving people for now. I am personally plant based, but my family were farmers and ate the fattest high cholesterol die t out there. My grandfather lived to over 100 and never sick a day in his life .is there something in genetics that allows some people to eat like this or is it just an anomaly. Or is there another explanation. They also ate a lot of vegetables.could this have overcome their high fat diet. I know a man who is a Swede. He is now 92 years old, and eats the standard american diet. There must be a genetic component to longevity. Dr. Greger’s reasoning doesn’t make sense to me. If more fat is less healthy, then on average, the group eating more fat should experience more heart disease – they did not. I don’t see the relevance of the variation in individual baseline cholesterol levels. What am I missing? You have an interesting question– why doesn’t the group eating more saturated fat experience more heart disease? It is because of individual genetic variation. In observational studies there is no correlation between saturated fat intake and heart disease. However as each individual’s saturated fat intake increases, their blood cholesterol rises, and as blood cholesterol rises, their heart disease risk goes up. So yes, due to genetic variation, some people may be able to keep their cholesterol under 150 consuming 10g of saturated fat per day, while others keep their cholesterol under 150 by consuming zero saturated fat. And in all people, as saturated fat intake drops, cholesterol and heart disease rates drop. Thanks, Julie. I think I did get that point, but it would seem to me that regardless of your genetic cholesterol baseline, adding more fat to the diet is going to make your cholesterol worse and therefore increase your heart disease. Also, since the groups are random, I would think that there would be those lucky people who are immune to fat as well as those sensitive to fat in both groups. The immune folks won’t show any effect on heart disease, but the sensitive ones in each group should. I did look at a study on Dr. McDougall’s site that seemed to present a more detailed explanation – still came to the same conclusion but I think Dr. Greger’s may be oversimplified. P_a_u_l, I think maybe I don’t understand your question. What study are you referring to? I think it’s because this meta-analysis included only observational studies. Just a snap-shot in time doesn’t show any correlation between saturated fat intake and blood cholesterol levels because of genetic variation. IF these studies, after taking baseline measurements, had manipulated saturated fat intake, they would have seen a corresponding change in blood cholesterol. Julie – It doesn’t appear that the Siri-Tirano meta-analysis was a snapshot. Didn’t they follow subjects for 5 to 23 years? I don’t understand the methodology and stats enough to know how this meta-analysis was conducted; though understanding it is fundamental to answering your question. You are right, they did follow the subjects over the years, but each time didn’t they just look at the population’s saturated fat intake and heart disease rates? Wouldn’t genetic variation still blot out any connection between the two? Yes, I think the reasons are more subtle than what Dr, Greger described. I may be missing his point, but accuracy is so important since the high-fat industry will grasp at any minute flaw in an argument and use it to dismiss the entire claim. Plantpositive.com does a great job of meticulously making the case against the claim that saturated are healthy. Does saturated fat derived from vegetable sources effect cholesterol levels the same as saturated fat derived from meat, eggs, and dairy? But note that coconut oil may have a different effect than whole plant foods such as (whole) coconut meat or nuts and seeds. You might want to research those topics as well. Animal fats are heated (processed by cooking), trap animal chemicals and toxins, and are usually grease (solid) not oil (liquid). Animal fats also affect negatively hormones (cancer promotion). Aside from the cholesterol question, animal and plant fats damage epithelial function – that single-cell-thick lining of the arteries – and when arteries become stiff and don’t function properly they contribute to high blood pressure as well as heart disease. In other words, cholesterol isn’t the only concern with eating fats, including vegetable fats. Hi Dr Greger–Your article on saturated fat and higher LDL goes a long way toward explaining the issue. But there is an aspect of this that I wonder if you would research and find an answer for. Most people do not get anywhere near enough Mg in their diets, and even those who take Mg in supplement form are getting very little of it. If one takes it transdermally ( Mg baths, or as ReMag by Dr Carolyn Dean, MD), you can get more than adequte amounts (my health has changed since starting this about 1 year ago). In the studies you site where they could see the LDL cholesterol go up due to adding saturated fat, it appears they did not talk about whether the participants had adequate Mg or not. Since most people do not (per Dr Dean, and which my own history seems to corroborate) have adequate Mg, it is very likely that the participants in those studies did not have adequate Mg. Dr Dean thinks that with adequate Mg, saturated fat does not cause arteriosclerosis. I would love it if you and Dr Dean would research this and find the facts and give us a definitive answer. This is such an incredibly important issue–to eat animal products or not–that it deserves an answer. I wouldn’t trust anything she says, or sells. I read the article that you linked. She really got into trouble treating everybody with a cookie cutter approach, one size fits all approach. I wonder how she got so one sided with alternative medicine? It only took 3 seconds to find because big Pharma paid for it. You get to the top of google by paying for it. You have to look deeper. Stephen Barrett is a quack himself. I used to believe in quack watch until I actually studied it. They want to give you a quick and easy answer and many people never question who quack watch is. You need to follow the money. Why are they hunting down people who treat cancer successfully without chemo and radiation? It cuts into their profits. Thanks for the interesting link, and the counterpoint. I certainly have many issues with standard medical practice, Big Pharma, etc. and generally believe that people should be able to do what they want with their bodies and health, e.g., it is outrageous to me that I cannot order blood tests online in my state (NY). But I also have many issues with alternative medical practioners who push one-size-suits-all miracle cures. There is lots of money to be made on both sides! So one has to be careful and use one’s best judgement. Stephen Barrett might also not be a generally reliable source, for all I know, but the recovocation of her medical license is a fact. Nothing prevents one quack from truthfully calling out another as a quack. Nothng prevents Big Pharma from going after quacks. If you search on e.g. Dr. Greger, Dr. McDougall, Dr. Neal Barnard, Dr. Ornish, Dr, Esselstyn or Dr. Furhman, you will not find any similar attacks or discipllinary actions. she talks about her relationship with some non-physical entity iON who lead her to invent the “iCell” and eventually put out a product RnA drops, which is supposed to reprogram one’s RNA (give me a break!). (The business about the non-physical entity iON is fascinating but too time consuming to track down – apparently he spoke through a friend/ business partner of Dean and her flaky husband – “JW”, who wound up in prison for fraud, but I’m short on details. I’d also like to add that I do not think the Google search results are the result of payments to Google by “Big Phama”. Other than paid ads, which are clearly marked, Google search result ranks are determined by an algorithm using various factors such as number of quality links to a webpage. You can get a rough idea from the wikipedia article on “page rank”. If you have evidence to the contrary, please share it. A lot of people think that Leaky Gut should be on a Quackwatch list. I was slightly sceptical myself until I got it. It turns out the science behind the diagnosis is rock solid. When I went to the research papers there is a stack of good science around the subject. The average GP is 10-15 yrs behind the science and many older Doctors even more. My MD said it will be mainstream in 10 years as it cant be ignored any longer. The doctors who are experienced with it are good to know though. That’s just an example for you of how the game is rolling. I think a lot of the scientists are now finding out what happens with the combination of many toxins, multiple prescriptions, high stress, lots of CAFO meat, sugar, sedentary lifestyle, and isolation in our bodies. Durinrider, the well known sugar vegan on YouTube would really like this video. Panchito: Nice video. Thanks for the link! As for Dr Dean (and Dr Mercola), you have to ask if they are simply using their medical knowledge to maximise their income. Almost seven years ago I had an aggressive breast cancer. I met many other cancer patients through my treatment experiences. I did lots of juicing and ate raw vegan for quite awhile, and now eat WFPB. Two other women I met changed to a ketogenic diet. Neither of them lived more than a year or two on that diet. One was in her 30s, the other her late 40s. I’m in my 70s and have continued thriving. Does anyone know if Dr. Mark Hyman is also using cross-sectional observations of large populations to validate all of the things he’s writing about? He seems to be a big fat proponent (no pun intended) and has even written a book called “Eat Fat, Get Thin.” I’d like to hear other opinions about his work if anyone would mind chiming in. Thanks! Dr. Barnard pointed out these research flaws to Dr. Hyman during their conversation in the Fat Summit earlier this year (pdf transcript is online). Dr. Hyman continues to misrepresent the 2015 USDA Dietary Guidelines on his website and emails regarding recommended intake of saturated fat and cholesterol. Perhaps the timing of this knowledge was a bit inconvenient? These are certainly subjects that are active in the nutrition blogosphere. The Nutrition Facts library of videos and articles is replete with content on these subjects, much of which disagrees with what you have mentioned here. Have at it. There is a treasure trove of science-based information. Cholesterol isn’t the bad guy here. Just because it is at the scene of the crime doesn’t make it the villain. CVD is a result of a poor diet high in sugar and processed food which has damaged the arterial walls. Cholesterol turns up to help fix the damage, not create the damage. If saturated fat was so bad why would it be in avocados, olive oils and all oils for that matter? Are coconuts bad for you considering it is a plant food? Lazy response that doesn’t prove anything. Again stating that LDL is bad when it isn’t. Depends on the type of LDL which will determine how bad it is for you. If we didn’t have LDL we would die. Such comments as yours are found all over the internet but they are facile.. If our bodies did not have iron and water we would die but too much of them will cause serious health problems.. The same applies to cholesterol. Also both types of LDL are atherogenic noo matter what claims you find on the internet..
You are living in Jonestown if you insist on getting all your “information” from websites and individuals of dubious credibility, and automatically refuse to read any and all studies that do not support your opinions. Luke, I would like to kindly suggest that you think about your comments before posting them. First of all, I do not know where you are getting your statement, “If we didn’t have LDL we would die.” Please correct me if you have read otherwise, but our liver is capable of making all the cholesterol our bodies need to survive without us eating it from outside sources (animal products). That is why cholesterol is called a NON-ESSENTIAL nutrient. I have yet to hear/read about anyone who died due to lack of cholesterol. Secondly, I suggest you check out a previous article regarding the size of LDL. http://nutritionfacts.org/video/does-cholesterol-size-matter/ It is correct that large, fluffy LDL particles are not as bad as small, dense LDL particles, however neither are healthy for you. I wish you health and enlightenment. Nowhere in my statement did I say we need to eat food to get LDL. I’m just saying that it is required and LDL isn’t bad. Since LDL is the lipoprotein responsible for transporting cholesterol and triglycerides to our cells, thus if we don’t have LDL we would die. All our cells require cholesterol so you can see how this becomes quite important. In fact there is a growing concern that in people over 60 taking statins are causing more damage than good and are actually prone to CVD (among other health issues) more than if they didn’t take the statins. I think very carefully about my comments before I post them. Luke: Once again, we have something of the “dose makes the poison” issue. Some LDL in our bodies is good. Our bodies though, make all the LDL that we need. This situation does not validate your argument that LDL is not a concern. Our bodies can also obtain or make too much LDL, causing disease. Your issue about the body self-correcting is only partly correct. Our bodies do level out our cholesterol levels at some point – but only at the point where we are already far into disease territory. I’ll share some general info on the topic. You can find corroborating (scientific) backing for all of these points on this site. (I just don’t have time to find the exact videos right now, but you can find it all.) Or you can spend some time on the http://www.PlantPositive.com site for a wonderful and in-depth look a these issues. Here’s the deal: Most humans are born with total cholesterol at 150 or below and LDL at 70 or below. Cultures which maintain these levels throughout their lives have almost no heart disease. And studies show that people who maintain these levels naturally (statin drug effectiveness is in question) are basically heart-attack proof. However, there are serious, well-documented health problems with having too much cholesterol in our blood. How do we get too much? Eating foods with cholesterol and saturated fat (ie, meat, diary and eggs) greatly raise our serum (blood) cholesterol levels, spiking it for several hours after a meal. It’s possible that some plant foods that are high in saturated fat alone (since plants do not have cholesterol), such as coconut and chocolate and palm oil, also raise cholesterol levels in our blood. It is natural for cholesterol levels to come down at least a bit after say 4 or so hours after a meal high with cholesterol and saturated fat. However, what if you are someone who is eating meat, dairy and eggs in every meal? Just as our levels come down, we spike it again with another meal. In that case, a person is living a great deal of her/his life in the danger zone. The danger zone is the elevated levels of cholesterol where heart attacks happen. Another consequence of eating meat, dairy and eggs is that over time, people start to get elevated levels of base/fasting serum cholesterol. Living in a society that lives day after day, year after year, decade after decade with elevated serum cholesterol until heart disease is the number one killer of our people, we have learned something about how our bodies work in terms of consuming and generating too much cholesterol. Many of us have an upper limit. In other words, our bodies do allow us to live in a danger zone, but at some upper level, our drowning bodies start to make less cholesterol despite increased inputs so that our serum cholesterol numbers level out at an upper limit. The article you referenced talks about a “set point”, but this is misleading. A set point is a point our bodies must maintain to be healthy. We may have a healthy level of cholesterol, but our bodies allow us to go way beyond that healthy level when we consume unhealthy foods. In other words, the article should never have used the term ‘set point’. At some point, your risks from smoking level out. Smoking has put you in the danger zone and adding one more cigarettes is not going to significantly raise your risk even more. But that does not mean that smoking is healthy. The same logic works for meat, dairy and eggs. You can maximize your disease risk so that adding a bit more does not increase risk even more. But that does not mean that meat, diary and eggs are healthy. Obviously. Also very important is the part about how saturated fat and cholesterol work together to make everything worse. Since those two components are, I believe, always eaten together in whole animal products, the effect of eating animal products is worse than just eating cholesterol or saturated fat separately. Look for the part that starts with: “The effects of dietary cholesterol are variable. For one thing, saturated fat consumed with cholesterol causes it to be more effective at raising blood cholesterol.” The first part of Dr. Greger’s video also covers this point. Finally, I’ll leave you with this fact: The *only* diets proven in clinical trials to reverse the plaque build up in blood vessels are whole plant food based diets. We are not talking about slowing down or even stopping the progression of heart disease. We are talking about reversing it so that people go on to live their lives without having any more heart attacks. Thanks for the TL;DR version. Does this help. Yes and no. I can see that we are all on sides that claim that the other side is cherry picking data to suite their agenda. I think there is a lot of bad science out there from years gone by that has pinned the blame on the wrong things. Sugar (among others) have benefited by paying Harvard scientists to pin the blame on Sat fat and we are still dealing with the disaster that it caused. Sure, a whole food approach is better than a SAD diet. Anything is better when you remove the processed crap and replace it with a whole food approach. My issue is that Sat fat isn’t bad. Lets agree to disagree. Luke: I agree that we disagree and I respect how you have kept your posts civil when discussing the topic with me. I’m glad we both agree that taking statins can do more damage than good. Regarding your statement of “if we don’t have LDL we would die”, this is true. However, since I have never heard of or read any case where someone’s body didn’t have enough cholesterol for the essential functions of life, I don’t think this should be a concern. Bringing us back to the topic of this original blog post, the problem lies within taking in too much high fat and high cholesterol foods which harmfully raises our own cholesterol levels and leads to CVD, heart attack, stroke, and/or death, among other harmful conditions. You may well believe that statins can do more damage than good but where is the evidence? No worries. I find it hard to take evidence as fact from this site because it is in direct contradiction to the evidence and studies that I have read. Which studies are cherry picked? Fun game to play. I can only go by what I have personally experienced as an n=1 study and what I eat has made me healthy. To my way of thinking, we definitly should be paying attention to our own experience in all this. I agree with you there. I follow the wfpb diet , no oil, but I take a weak statin only two days per week. It isnt what my doctors want for me, but its what i can tolerate. And its working. I am learning so much from all the contributors here, and their experiences of improved health. This is the usual analogy that the self-styled cholesterol sceptics use to try exonerate high plasma cholesterol. They have to use analogy because they do not have evidence. You seriously want me to read a pro statin study? I wonder who paid for that study to show so favourably for statin use? The results are false and in fact, statin drugs cause more problems than good for the vast popluation: http://articles.mercola.com/sites/articles/archive/2015/03/18/deception-statins-effectiveness.aspx#! Lifestyle changes that reduce cholesterol also show mortality benefits. The statements that we should ignore the evidence from around the world over many decades that cholesterol lowering reduces adverse events because it is all manipulated by the drug industry is another typical argument of the sceptics. Resorting to improbable conspiracy theories to dismiss evidence is a sign of their desperation and logic. For example, the drugs were developed because studies had shown that high cholesterol was associated with adverse health and that cholesterol lowering (through diet and lifestyle changes) reduced adverse events. Luke, you have a great question. Actually the type of fat in avocados and olives is monounsaturated, not saturated. I agree with you in that statin drugs cause damage. All fats have a combination of monounsaturated, polyunsaturated and saturated fats. There isn’t one without the other. Maybe the majority of fats in them is mono but why would there be this “bad Sat fat” as well? Is one (mono) trying to make us healthy whereas the other (sat) is trying to kill us at the same time? There are many problems with statins, Luke. You are right. Side effects among them. This is a good article Tom. Dr. Katz has a nice way of showing clear points while not trying to attack others. Some people will choose to focus on one or another of the points he makes. Although I do not agree with everything you are saying, I would like to clarify that, yes, olive oil (any type of oil) as well as avocados do contain sat. fat. Since the majority of the evidence points towards whole food, plant based diets preventing/reversing disease, oils would not be included in this since oil is not a whole food. Olives, corn, soybeans, peanuts, etc are whole foods. The higher fat foods (avocados, nuts, etc) should be used sparingly because, as stated in the article above, saturated fat will raise cholesterol levels. Do you not believe that in most cases that our bodies like to maintain a state of homeostasis and thrus will create less cholesterol to take into consideration the amount we at through either plant food or animal fats? Has it not been shown that an increase in Sat fat changes the particle size of LDL to larger buoyant fluffy LDL which is less harmful than small dense LDL particles that are prone to oxidation? Why would Sat fat be considered bad for you yet increase the amount of HDL cholesterol that is perceived to be healthy cholesterol? I don’t disagree that whole food, plant based diets can’t be good when you compare them to the standard American diet (SAD) which is comprised of highly processed rubbish foods made with wheat and trans fats. What I take issue with is old dated information stating that cholesterol is bad and we should aim to lower it. I think this is poor misleading advice. Luke: While using other words, Tom Goff was explaining to you the concept of the phrase, “the dose makes the poison”. Your latest post indicates that you are ignoring or do not understand the concept. Yes, all whole fats have a combination of saturated, poly and mono fats. What we know is that minimizing foods high in saturated fat (whether from meat, dairy, eggs, coconut, or palm oils) leads to lower risk of heart disease. That doesn’t mean that a small amount of a whole food like avocado or nuts is bad for us. As it turns out, just about every whole plant food has fat in it. And as a natural fat, the fat will have some combination of saturated, poly and mono. Even broccoli has fat in it! The dose makes the poison. The other key point is that food is a package deal. When you eat say eggs or butter, you not only get the high saturated fat, but you also get the cholesterol and other disease promoting ingredients. So, it’s not just that those foods have saturated fat that makes them bad. There’s other elements of the animal products which can make them particularly harmful. Similarly, “food is a package deal” can be applied in a good way. When we eat plant foods, including whole nuts, we see that the food has a healthful impact. While nuts can be somewhat high in saturated fat, they also have a ton of other good, healthful ingredients which make an overall package that is shown again and again (when used in moderation) to lower disease risk and promote healthy longevity. I believe another poster already been referred to a video explaining the evidence against coconut oil. As for your question about olive oil being bad – yes oh yes oh yes . It really is. There are all sorts of reasons olive oil is bad for us though. It is not just the saturated fat. You can learn a lot about oils and olive oil on this site if you are interested. AND YET: Even with all the health problems associated with oils like olive oil, a plant based oil still is better than say butter. How do we know that the plant based oils with their lower saturated fat are better? The plant based oils like olive oil may have some saturated fat, but they have far less saturated fat than say butter or lard. Here’s the kicker: people who switch from using oils such as butter to using plant based oils with the less saturated fat get lower cholesterol and have fewer heart attacks. (Though if those people really want to get rid of the heart attacks, they would switch to a healthy diet, which would consist of whole plant foods, not processed junk like oils.) Two different highly processed foods that are pretty much 100% pure fat: olive oil and butter. The main difference between the two is the percentages of saturated, poly and mono fats. And it is the one with less saturated fat that wins the day. That’s pretty compelling evidence. I can’t agree with you in regards to eggs. They have so much nutrition in them and have been vindicated as they have little to no response on cholesterol levels, I’m sure the data on this you would have me think is cherry picked though. I find it all very interesting that even if we were to eat avocados and olives in adequate quantities the claims here are that some of the fat in them are trying to kill us while the rest of the diet is trying to balance that out. Doesn’t compute. HELLO. I have just spent inordinate time going over this comment thread, and must say I’m impressed with the level of knowledge most commenters possess (much more than me!) and their apparent intelligence and civility. OK, that said, I’m still not totally sure whether COCONUT OIL is good or bad for you. (I know, as per some of Thea’s discussions, that with any given person this depends on many factors). I have to admit that I’ve been a “Mercola devotee” for some time now and only fairly recently discovered Dr. Greger; now I’m fully convinced, on multiple counts, that Dr. Greger is the more dependable authority. Also, I can’t agree with Dr. Mercola on that vaccination issue, so that has always damaged his credibility with me. Thanks and cheers! Cindy B.
PS, any feedback would be welcome of course. I’ve been there too (mercola, coconut oil, etc.). I think many of us have. Welcome aboard Cindy! HDL is generally regarded as protective. On the other hand it can be raised by eg alcoholism and there is something called dysfunctional HDL which can in fact promote heart disease. I doubt that any of these things apply in your case but they suggest that high HDL isn’t always a cast-iron guarantee of cardiovascular health. You may be better advised to drop the coconut oil altogether and see how your lipids respond. Thank you, Tom! I appreciate the feedback very much and will try to act on it as best I can. Thanks for the links. The last one is the Siri-Tarino study which is discussed in this blog post where it is referred to as the “2010 study”. Dr Katz’s article which I eferred to in different post also discusses it. The second link is to another “cholesterol myth” website which ignores all contrary evidence and ascribes all the evidence showing high cholesterol is a risk factor to a pharmaceutical industry conspiracy. Since the identification of high cholesterol as a risk factor came before cholesterol lowering drugs were invented, it is not worth taking seriously..
Rath believes that arterial sclerosis is a vitamin C deficiency. This may not be exactly the kind of thing you study but it sure seems relevant. For some years the average total cholesterol level of the French was 240 mg/dL and their mortality rate was about 1/3 that of the United States. It’s called the French paradox. It’s not a paradox. In India, researcher S. L. Malhotra concluded that the seed oils consumed by railroad workers in the South were far more problematic than the Ghee consumed by workers in the North. Cholesterol levels were almost identical but fat intake varied tremendously. 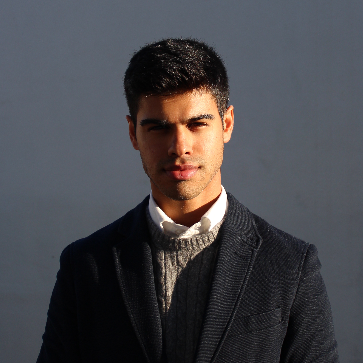 His research papers are easy to understand and can be accessed if you Google – S. L. Malhotra BMJ AJCN. In the end, it makes little sense to demonize all saturated fats. In addition, only 16 carbon chain palmitic acid seems to be problematic, and that only in the context of a high-carb, diet consisting of mostly fabricated food products. A whole foods diet, either high or low in saturated fats, does not appear to be a problem. Lets not oversimplify. What happens if the linoleic acid content of a high-fat murine diet is dialed back to resemble pre-industrial percentages of linoleic acid intake for humans? Google – “endocannabinoids linoleic acid” to find out. I still do not understand your logic. Palm oil is 44% palmitic acid and 10.1% linolieic acid so the problem is linoleic acid? As far as I know, the AHA does not recommend “replacing saturated fats with linoleic acid”. It recommends reducing saturated fat and trans fat consumption.and “For good health, the majority of fats you eat should be monounsaturated or polyunsaturated.”. In any case how would showing that linoleic acid consumption is unhealthy demonstrate that vegetable (or animal) saturated fat consumption is healthy or harmless? As far as I can tell, it is the cumulative effect of linoleic acid that is most concerning. Intermediate doses seem to be the most problematic. Google – David E. Brown BMJ and Bill Roberts linoleic acid and perhaps you’ll be able to see how that works. I’m guessing you haven’t read the Malhotra research papers published in the late 60s and early 70s. Google – “S. L. Malhotra BMJ AJCN to access that research”. This matter of fat intake is incredibly complicated by the fact that there are so many variables in terms of what happens to the fat before and after it is ingested. Linoleic acid is beneficial at intakes of 1% of energy or some fraction of that. Higher intakes become problematic as per endocannabinoid research. Google – “Endocannabinoid linoleic acid”. Still higher intakes seem to reduce heart disease mortality, improve metabolic markers for health and reduce belly fat. How this works has not been worked out as yet but I suspect the gut microbiome has something to do with it. I have another suggestion. Google – “Wysong Lipid Nutrition Preview”, click on “Preview this book”, and read Chapter 8 of the book. Then get back to me with your thoughts.. Thanks, David. I have checked these out. The David E Brown BMJ one refers to (presumably your?) letters to the BMJ setting out essentially the same claims you make here. The Bill Roberts search links to a range of websites (with little or no credibility) containing articles by this gentleman. There are vague references to research but no real citations. And thus it is the usual shock/horror alternative health story typical of such sites, employing vague references to old studies which he claims supports his ideas.As usual, conflicting evidence is pretty much totally ignored. It is not really worth commenting upon. The “Endocannabinoid linoleic acid”. search came up with studies that show LA increases feed efficiency in mice and therefore may facilitate adiposity. However, increasing feed efficiency can be a good thing or a bad thing depending on how many calories you consume. The Wysong lipid reference is to a 1990 book by a vet setting out his views on lipids based on his interpretation of earlier studies and arguments from basic principles. There are more recent analyses based on all the evidence to date including that eg by the World Health Organization expert panel report on fatty acids in human nutrition which are much more credible and based on the totality of research evidence as opposed to a few cherry-picked old studies. The Malhotra 1950s/1970s papers are another matter. They are very well-written and contain thoughtful analyses. However, they have the usual problem of observational studies – they can’t control for all potentially relevant variables. For example, the North Indians ate significantly more pulses and wheat. Nevertheless, Teicholz certainly makes mention of Malhotra’s studies and does make a big deal of them. But I wouldn’t expect anything else. However, the biggest problem with hanging your hat on the old studies from the 1960s and 1970s is what they did not know then. The same thing applies (with no excuses) to Ramsden et al’s much more recent attempt to rewrite the results from an old study in Sydney Australia. The was one of the articles you wrote a letter to the BMJ about if I recall correctly. What they did not know in the in the 1960s and 1970s was the harmful effects of trans fats. These only became known in the 1980s. Consequently, findings of harmful effects from oil consumption were attributed to the source oil and specifically LA. In South India for example, a key source of calories is vanaspati – it is an important cooking oil which is also widely used in manufacturing food stuffs including breads. Depending on whether it is used as an oil or a spread, it is either fully or partially hydrogenated. I understand that it can be up to 50% trans fat. It is hardly surprising that South Indians were observed to have poorer health in Malhotra’s studies, even ignoring other confounding factors. Trans fats are known to have even greater adverse effects on health than saturated fats. It is not surprising that Teicholz should choose to ignore this fact because, if she looked at the totality of research on this topic, especially more modern research, her arguments would be exposed as hollow. This obviously contradicts your claims which appear to be based almost entirely on old studies which confuse the effects of LA with the effects of trans fats. No wonder you are unable to cite any modern research which supports your views. As a result, I do not find your argument convincing. I referred you to the older Malhotra studies material because they illustrate my point that the problems with polyunsaturated fats were noticed long ago. I suggested you read the Bill Roberts article because he accurately describes what excessive linoleic acid does to fat stores. Yes, I wish he had used citations. My own intake of linoleic acid was excessive for many years (Google – perils of peanuts) but I stayed lean because my added sugars intake was very low. As for trans fats, I recall only one article that mentioned that trans fats consist of trans oleic and trans linoleic acids in amounts proportionate to the fatty acid profile of the seed oil subjected to partial hydrogenation. Note that the trans oleic and trans linoleic fatty acids are subject to oxidation once ingested forming reactive oxygen species. Therein lies a problem. What trans fats do when incorporated into cell membranes is anybody’s guess. You would have to read Wysong’s entire book to appreciate how advanced his understanding of the subject was in 1990. Note that he does not let saturated fats off the hook. Thanks for your response David. I am not a biochemist and freely confess that I am incapable of properly assessing the work of Wysong. However, I have to ask myself which is more likely to be correct. The views of an obscure vet set out in a 1990 book, printed by an equally obscure publishing house, which presumably did not go through an effective peer review process (or indeed any review process at all). Or more modern expert assessments by panels of leading global scientists, such as those convened by bodies like the World Health Organization, and by other professional groups in publications and reports which have been subject to peer reviews. Also, studies which apparently exonerate saturated fat (as quoted by you above) seem to do so only by comparing them to high carbohydrate diets consisting of refined carbs (and/or trans fats). These simply illustrate Dr G’s points in this blog post. I am inclined to accept that high levels of fat consumption resulting from the ingestion of oils and foods cooked in oils, are unhealthy. The fact that these may be unhealthy does not however in any way negate the evidence that we have that shows that foods high in saturated fat are also unhealthy. That evidence also appears to show that polyunsaturated and monounsaturated fat is less unhealthy than saturated (and trans) fat consumption.. This site of course does not recommend the consumption of either oils or hard fats (or foods high in saturated fat). Other than very small amounts of algal EPA/DHA from supplements, that is. It is not after all the case that there can only be one factor responsible for heart disease and other health issues. As far as I am able to determine, all credible health authorities everywhere have concluded that there are multiple dietary factors involved in disease initiation and progression. This is why I cannot understand your apparent argument that the studies you discuss lead to a conclusion that dietary saturated fat is essentially unimportant. You also referred to internet claims about explosions of heart disease following the introduction of seed oils and their alleged replacement of animal fats. These claims are all misleading and many of them are simply false. The fact is that heart disease and stroke combined have been the leading killer of Americans since the beginning of the 20th century. And seed oils did not replace animal fats – they added to them. People are eating more meat, fish and dairy now than they did before World War 1. As I have written before, I do not see how any of this demonstrates or even suggests that high saturated fat consumption is not a risk factor. It may very well be that beef tallow from CAFO cattle is problematic as well because the carcasses are higher in stearic acid. So I don’t know. I’m still trying to figure this out. Thanks for interacting with me. Dr Ray Peat (biochemist) did a lot of reading (perhaps even research) on this subject. He claims that cows and sheep convert polyunsaturated fats into saturated fats in the rumen (bacterial action) and their fat is white. All of the other meats will contain polyunsats if the animal is feed them….. their far is yellow. Re Palmitic fat is harmful. My readings suggest this is so except possibly when accompanied by oleic fat. Oleate prevents palmitate-induced mitochondrial dysfunction, insulin resistance and inflammatory signaling in neuronal cells. Kwon B1, Lee HK1, Querfurth HW2. That’s not a complete answer but it makes me think it is worth looking a bit closer. Note that mothers milk (human) is high in fat and Palmitic/Oleic are the main components (neither are polyunsaturated which is the minority in human milk). From memory I think that the Palmitic/Oleic combination is standard in animal products or perhaps just the meat. Yes,thanks, it was an in vitro study but certainly interesting. Enjoyed hearing Dr. Greger both in Madison and Loyola University recently. Saturated fat is confusing to me. Dr. Mark Hyman says it is good to have some saturated fat from gee, coconut oil, etc. for cellular health and stablize blood sugars. Comment? Mothers milk is very high in fat, and so new born babies who are breast feed are on a high fat diet (approx. 50% of that is as saturated fat). The magnitude of fat consumption is even more pronounced when considered relative to the babies body weight. Does anybody know why a new born needs all of that fat? I’m trying to find out what the baby uses it for? The ‘Milk Composition’ is a very well written and interesting summary. I noticed that newborns get a whopping 55% of their calories from fat. Incredible really when you consider they are just lying around sleeping. One things for sure, sugar (Lactose, Galactose and Glucose) and saturated/monounsaturated/polyunsaturated fats aren’t toxic as some people claim because they are all in mothers milk (Mother Nature wouldn’t play Russian roulette with something like that). The babies brain isn’t fully developed at birth and continues to grow until around 21 yrs, although the growth rate ramps down after birth. The rate of change in brain growth is roughly correlated to the decline in the % of fat on the milk? I’m not sure about that one … further reading required. It also makes me wonder if the baby needs high saturated fat from birth does it also need sat fat in the womb? It would be interesting to know what foetal nutrition comprises. I thought it was interesting too. Babies grow so fast. One thing that always surprises me is how big their heads are compared to their length of arm outstretched over their head. Their little hand just clears the top. I’ve heard that heart disease and cancer started to explode in the 1920’s. Before this time we ate tons of animal products, yet we seemed to be healthy. What changed at the turn of the century? Vegetable oil consumption and sugar consumption rose. Could these be a cause of heart disease and cancer? Our bodies struggling to deal with newly processed foods? I just have a hard time believing that animal fats are the root of many health issues when we’ve been eating them since the dawn of time. If they’re so bad how did we make it this far? I don’t know if the first assertion is true or not. I would need a reputable source of information before I believed it. It is a somewhat believable type of statement, however. It is my understanding that meat, diary and egg consumption has gone way up over the last 100 years or so–not counting a dip for the Great Depression and World War II. Plus domestic animals have been bred over the last 100 or so years to contain a lot more fat. (There’s a NutritionFacts video or two about that.) Thus, the last two statements would not be true. (If you have evidence otherwise, that would be interesting.) So: if animal product consumption, along with the increased animal fat intake, has gone up in the last 100 years, then it would make sense that we have had more heart disease and cancer to go along with that. So, your first statement may be true? I’ll also mention that we have lots of studies showing that when people switch from fats high in saturated fat to fats lower in saturated fat, such as most vegetable oils, their incidence of heart attacks goes down. And I’m not aware of any link between vegetable oils and cancer. This may be another way in which your story falls down. Finally, your question about, “If they’re so bad, how did we make it this far?” has a very ruthless type of answer. Animal foods are very bad, but they are obviously not instant-acting poisons. It can take decades before unhealthy eating results in heart attacks and cancer deaths. I’d say we made it this far the same way that we are making it this far today. Humans breed when we are in our 20s and 30s. We typically (there are sad exceptions) die prematurely from unhealthy diets later than that. I have seen these claims made on the internet. They are downright misleading. However, nobody here would argue that vegetable oil and sugar consumption is healthy. But that does not mean that animal foods must therefore be healthy. First the idea, that everybody was healthy before the 1920s is simply not true. On average people died younger. and infectious diseases such as TB, pneumonia, diarrhea etc killed many more people than they do today. Even so, US statistics show that heart disease was the number 3 killer of Americans (after TB and pneumonia) at the beginning of the 20th Century and “intercranial lesions of vascular origin” was number 4 or 5. Group them both together as cardiovascular disease and they were the number 1 killer of Americans. Cancer was also a leading killer – number 8 on the list. You may have a hard time believing that animal fats and foods cause health issues but that is probably because you haven’t had the opportunity to review all the science on this. I encourage you to look at the videos on this site. Also, Americans apparently ate less meat, fish and airy food in 1909 when records began than they do today although egg consumption is now somewhat higher. I would just add that you have probably also heard that myocardial infarctions and coronary heart disease were virtually unknown in the USA before the 1920s or 1930s (and implying or even stating that eating meat etc and simply avoiding oils, processed foods and sugar will leave you heart attack-proof). This is quite correct – myocardial infarctions and coronary heart disease were unknown in the US before the late 1920s. But that is not because the diet changed. It is because the terms were not invented until 1927 and 1949 respectively. Before then people simply died of heart attacks and heart disease. As I mentioned previously, the statistics unambiguously show that heart diseases and “intercranial lesions of vascular origins” (strokes) combined were the leading killer of Americans in. the early 20th Century. I have been on a whole foods plant-based diet for 4 months now. I really appreciate the changes I am seeing in my health. I had been a vegetarian for 30 years yet I still had coronary artery disease with two blockages in my heart. I do believe going off of animal products all together, milk and cheese, I am much healthier. I like the article you wrote yet I am confused about the following study (http://www.nature.com/articles/srep33188#abstract)- this indicates milk and milk products are not causing problems. I would appreciate information on how to read what appears to be misinformation. Thank You. I do not think it is misinformation although it may well be misleading. Just as population studies of saturated fat studies appear to show no problems, it could well be because they do not consider what people eat in place of saturated fat or milk products. These may well be just as unhealthy as the products they replace. You could read the blog post and the similar video which describe the problems with these types of studies. False expectation set by the Doctor. It’s like saying that stop drinking beer will make people live to 100 year old. I eat primarily plant-based. I would like to say I eat no crap, but occasionally I do; that white flower and vegetable oil sneaks in from time to time. No meat or dairy for two and a half years. I run about 25 miles per week and strength train. My cholesterol prior to a vegan diet was 270. Post vegan diet I have gotten three readings. 176 from a full blood work test from the lab. 212 and 193 from a quick test. In all cases my good cholesterol is 35 and LDL is high. I eat the daily recommendation of nuts and have a few avocados per week. Every family member is on medication. Initially, I went vegan to avoid medication. I am not below 150 and my ratio leaves something to be desired. Should I seek medication; I really don’t want to. Any other recommendations to get to 150? LowerMyCholesterol: Sounds like the vegan diet is working/going in the right direction but not enough yet. There are some videos on this site that showcase foods which have been shown to lower cholesterol. You have already done the hard part and most important part. But maybe if you tweak your diet to specifically include these foods, it might help further? Good luck. I will attach a practical document created by the BDA for better understanding of the topic (see here). Please do take into account that the BDA does not speak about the health risks of dairy, fish, eggs or meat and therefore practical recommendations should be taken with caution. On the other hand, some consideration should be taken into the high calorie content of margarines. Good day. I have a question. I have been searching on this web site but it seems that the videos about kidneys have been posted more then 3 years ago and i don’t think anybody will respond there. My uncle is 83 years old and on dialysis right now. But he finally decided to listen to me and go on a plant based diet (to tend to his other problems like high blood pressure etc). But his conventional doctor keeps saying he needs to eat lots of animal protein because he is already on dialysis. is there any hope for him? his kidneys work only at 10%. i can’t find plant based doctors around who would help him. His insurance covers only standard procedure. What should he do? Can he eat beans and continue with dialysis? should he just continue being on animal diet? He eats 5 eggs a day thinking its good protein. Please help! I really want to help him. Thank you! So what do we make of a cardiologist on a BBC documentary contradicting plainly much advice on saturated fat on this site? If the science really was as clear as this site suggests then what is the error in the rising consensus against the low fat low protein low near vegetarian style diets? Apologies for the late reply. As you can imagine, we get more emails than we can answer. We, the moderators, have a running list to answer (that grows every day!) We tend to pick the most current Qs, but I decided to dig through the older ones on the list. That said, thank you for your question and your link. You ask a good question and I think your question can be applied to most any topic in any area of science. Research is rarely ever ‘revolutionary’ (although the media and blog writers may report it as such.) Instead, it tends to be ‘evolutionary.’ And because research studies come in different sizes, shapes and colors, so to speak, science doesn’t always answer a question with every caveat and consideration in mind. Many studies on many different populations often are needed to get at the complete answer. And when a randomized controlled trial is not possible or has not been conducted or conducted for a long enough period—as is the case with many diet and exercise research questions, then well conducted observational trials need to be used and interpreted in context. Your question itself though is worthy of interpretation, because you reference the ‘rising consensus against the low-fat, low-protein, near vegetarian-style diets.” And there are some contradictions in your question. First of all, you should realize that even a TOTAL vegetarian diet is NOT low in fat, nor low in protein. In fact, a vegetarian diet is likely to be higher in saturated fat than someone who eats meat but doesn’t consume a lot of dairy products. A vegetarian diet is often more like a carnivore diet in terms of saturated fat and amino acid profile than a vegan diet. Unfortunately—and this is a big existing flaw in research in this area—vegetarian often gets lumped in with vegan (no dairy products). And that can certainly skew a study’s results on the effects of a vegan diet—which would likely show better results for many outcomes if vegetarian diets were not included in their statistical analyses. Likewise, lumping all vegan diets together can also skew results: If you compare a junk food vegan diet (which might be quite high in fat, albeit, more unsaturated fats, but that could include processed carbs like French fries and potato chips and candy) with a whole food, plant-based diet (which is going to be low in fat and likely much higher in fiber and many micronutrients), they can be quite different in nutritional profile—and effects on health. Also, you mention ‘low’ fat and ‘low’ protein. This is the heart of the problem with many of the studies, and most definitely with the recent meta-analyses which claim that a ‘low’ fat diet is no better than a high fat high protein diet. “Low” in many studies is not ‘low’ at all, only moderate, only even moderately-high. When you make comparisons between two things that aren’t very different, the results of their potential effects on health won’t be distinctly different either. Recently, my local newspaper, The Denver Post, has published two articles that seem to promote the idea that eating a diet high in animal products and saturated fat can help reduce inflammation for people with autoimmune diseases. The first article is about Sarah Ballantyne’s “Autoimmune Protocol Diet”. The second is about the family that invented “Jackson’s Honest” potato chips which heavily promote the fact that they’re fried in coconut oil. The son was born with an extremely rare inflammatory disease, Aicardi–Goutières syndrome, which has been eased by drinking bone broth, eating lots of meat, butter, and other foods high in animal proteins and saturated fat. Everything I’ve read from Dr. Greger, Dr. Barnard, and other doctors I trust, says that this type of diet is essentially the worst thing possible to reduce inflammation. While I have no intention of giving up my whole foods plant based diet any time soon, I’m still curious. Have there been any reputable studies (correct analysis methodology, reasonable sample size, longer duration that one or two weeks, no concerns about industry funding, etc.) that provide any evidence that the “Autoimmune Protocol” or other high animal, high saturated fat diet reduces inflammation. I assume it’s largely anecdotal “evidence”. So I recently saw this study, I don’t have the knowledge or skill to accept or challenge its conclusion. I am hoping that others that do have this ability will read it and comment on it. Can replies to the comments be done through this email?